Y’all, I am in love with lace — more specifically, the modern use of lace. This recent fixation started when I scored an amazing set of vintage lace samplers at a street market in Paris. 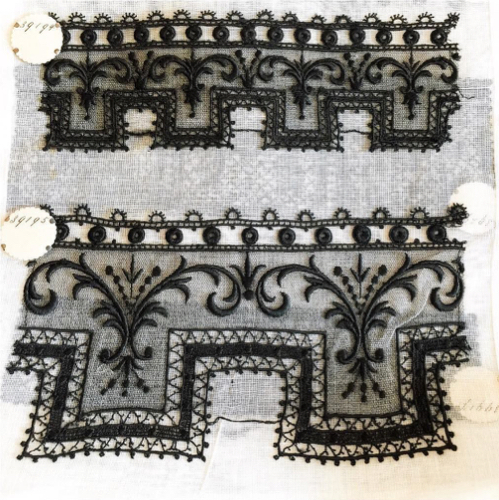 These beauties were originally used as a salesman’s tools to sell different styles of lace to Parisian fashion houses. The identifying labels — hello, old school; it’s not a barcode! — are still attached. My heart went pitter-patter and I knew these gorgeous samplers had to come home with me. After a teensy bit of discussion with the seller, whom I’ve never spotted at that market again, I peeled off a handful of Euros and considered myself beyond fortunate for the find. I wasn’t quite sure what I was going to do with the samplers … but fast-forward a year or so and my vision came into focus. 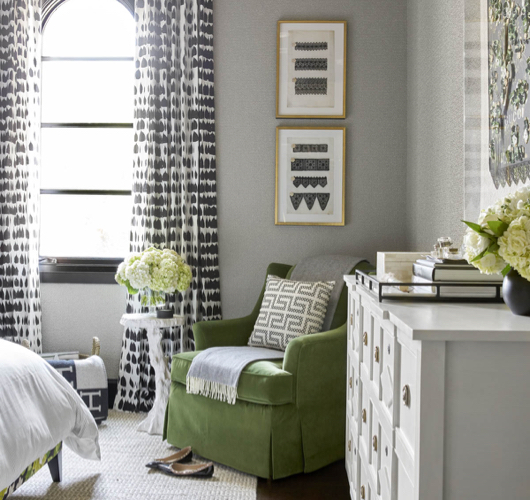 I’ve shared a few sneak peeks of the couture-inspired bedroom I designed in the Traditional Home Dallas Showhouse; did you spy the lace samplers in the background of this shot? Gorgeous linen mats and Larson-Juhl frames turned the samplers into picture-perfect works of art. Pssst. Over here. Should I tell you my secret? 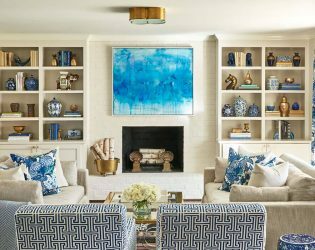 Traci Zeller Interiors is getting a whole new look — with a new website to boot. 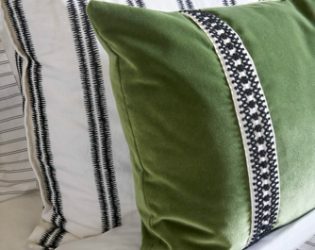 On the new website, I’m also launching Traci Zeller Collection, a highly curated online shop of my very best one-of-a-kind finds. These are things I simply couldn’t leave behind, and I’m guessing you’ll feel the same way! But back to the topic at hand. 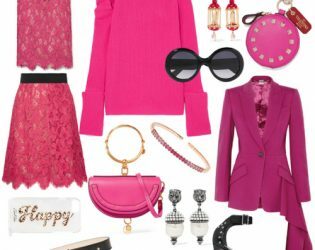 When I’m “in,” I am “all in” — which meant I quickly found myself gravitating to lace clothing. I kid you not; this is a major wardrobe development. I mean, I have a few too many traumatic memories of days wearing Gunne Sax dresses. Finding this Erdem blouse, however, was enough to cure those childhood flashbacks. That’s the power of a killer piece, amiright?!? Oh, and 24 Sèvres is the new online arm of my fave Parisian department store, Le Bon Marché; by shopping there, you can tell everyone you bought your new blouse in Paris! Shockingly enough (could I be any more longwinded?! ), everything I’ve written so far has been a wind-up to my latest obsession: Monika Knutsson. Oh my heavens to Betsy, y’all, I can’t even. Her Gilded Lace collection has knocked my proverbial socks off. I’m dying. Dying. 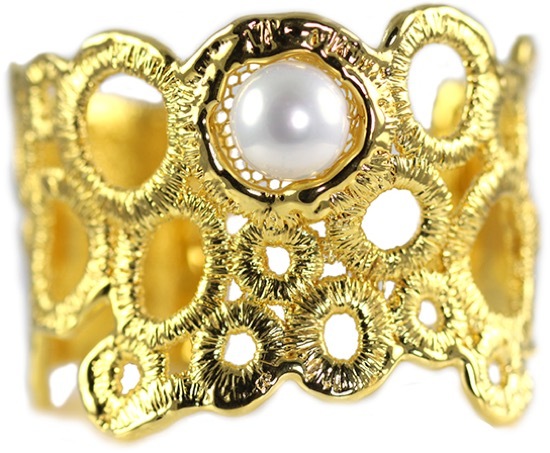 Monika makes beyond gorgeous jewelry from early to mid-1900s lace dipped into 24-karat gold or sterling silver. I neeeeeeed. (Please read that in a whiny voice.) Here are a few of my favorites. 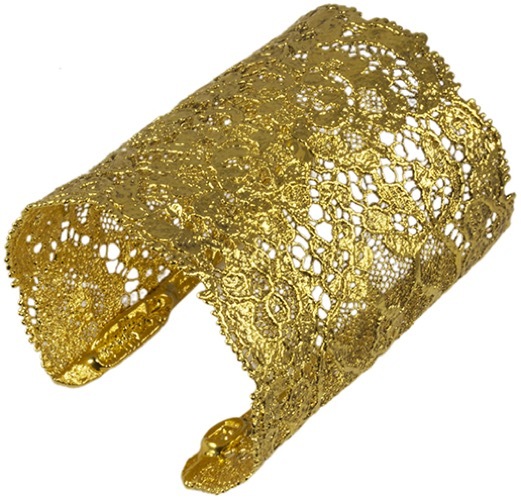 The Brigitte cuff bracelet, made from French Calais lace from the 1920s used for fine dresses. Not only do I love everything French and 1920s … but c’mon, isn’t this cuff the best way for a girl to pretend she’s Wonder Woman undercover? There is nothing I wanted more as a kid than to be Wonder Woman. If you catch me after a glass of champagne or two, ask me about my Wonder Woman bathing suit. Ahem. If the Brigitte’s too dramatic for your personal look, the Eliane or Margo may be more wearable for daily use (and you know how I love my “everyday stack”). You just leave Wonder Woman to me. The Claudie cuff bracelet, made from French circular Guipure lace from the 1960s with a large white pearl. I may have teared up at this one. I think I need a ring, too. Mama wants the Tilda, which is made of French Valencienne lace used for lingerie in the 1920s. I should start dropping Mother’s Day hints now. Like, NOW. Monika also creates custom pieces, using lace that is personal to the buyer. What an incredibly special way to commemorate and repurpose a family heirloom like a wedding dress or christening gown! Gah. Writing this post has me even more fascinated with Monika’s work than when I started. Monika previously worked for Isabel Marant, so it’s no surprise she has the coolest vibe. 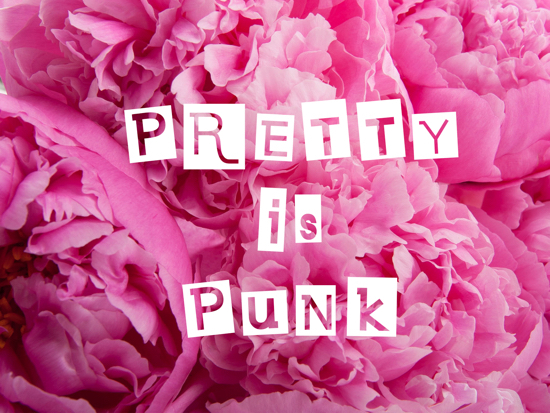 I vote that her lace jewelry is both pretty and punk — and I love that about it. Lace is really, really cool, and I'm surprised I don't see it much more often - it deserves more love!